Quaffers' Offers • View topic - Happy New Year - and what would you BYO? Happy New Year - and what would you BYO? Post subject: Happy New Year - and what would you BYO? Let me, by wishing you all a very happy and healthy New Year, be the first to post in 2017! Tonight I'm off to a super local steak restaurant that offers free corkage on Monday nights, and I'll be taking Ridge Lytton Springs Zinfandel 2010. What wine would you take to a steak restaurant I wonder? Post subject: Re: Happy New Year - and what would you BYO? Lucky you having free corkage at a steak restaurant. There used to be one I went to in Covent Garden that did the same on a Monday but sadly no longer does it. All other options are at least £5 a bottle now. I meet up with a friend for a byo at a Turkish restaurant every 2-3 weeks so we set different themes each time based on grape variety or region or vintage or just something we really want to try. How did you find the Zinfandel? 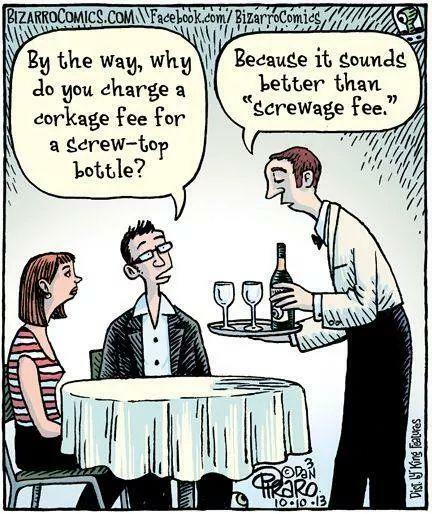 Do they charge screwage as well ? The Ridge Zin was perfect. Both were enjoyable, but not really comparable, the Ridge is about 3 times the price of the Ravenswood. I've been drinking a fair amount of Ridge in the US recently, and especially in Steak restaurants so I rather link it with steak. The East Bench (which I had a couple of times in the US) was only available in the mixed case, the Geyserville is now sold out but they currently have Lytton Springs in stock.